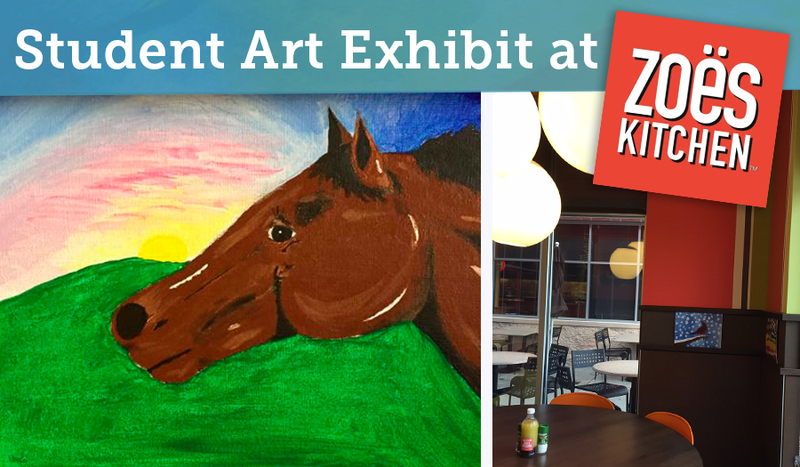 Please join us this Thursday, March 3 from 5:00 - 8:00pm, at Zoe’s Kitchen in Towson at 6300 York Road, Baltimore, MD, 21208, for a casual get-together to see our student paintings. Photographed above is Rhys Whitin's,7th grader, portrait of her horse which has already been sold! Last November one of our neighbors from the Coldspring-Newtown community came to the Waldorf School of Baltimore with a unique request— to have our students create pieces of art to display and sell at a new restaurant opening in Towson, with all proceeds to benefit WSB. Eager to help, we enlisted the support of our very talented 5th and 7th graders. Now it is time to be inspired and enjoy the wonderful artwork.